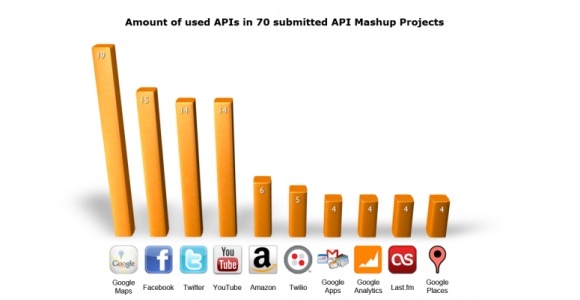 Unlike startup competitions, which take into account of a business, its uniqueness and barriers to entry, API Mashup, which recently took place in Germany aims at business-minded techies. Its purpose is to select new web applications which use two or more different APIs. The contest attracted over 70 applications. CEE engineers have been actively participating in the competition: at least in 40 to 50 per cent cases the participants came from Eastern Europe, as entrepreneur and Seedcamp Mentor Pavel Curda shared with me. The winner also comes from our region: it is Belarusian Suitts.me which creates a social shopping network that allows users to discuss clothes they want to buy. According to the founders Andrew Fan and Gleb Pitsevich we like to receive our friends’ advice when shopping, therefore social is the way to go. Perhaps it would work for some apparel items, but as far as jeans go, no matter how many times my friends voted for a particular pair, if they are too loose on the waist and too tight elsewhere, I am not going to keep them. The company Bodymetrics has even deployed body scanners to solve the omnipresent problem of fitting jeans (and fits.me from Estonia sells robots like hotcakes to help deal with the fitting problem). The app reminded me of a mini Seedcamp Paris participant ShallIbuy? and I am not even going to mention a now almost “traditional way” of sharing potential purchases on Facebook. But in any case I assess startups from a business point of view, rather than taking into account an interesting twist on using technology in a new way, which in the case of Suitts.me included APIs from Facebook Graph, Twitter and TwitPic. The finalists included HotelMaps from Germany, which displays hotels, their stars and price conveniently on the map, and then allows users to make a booking via booking.com. It is neat, but the leading German hotel-booking service HRS already has an inbuilt map with hotels displayed on it. Instead of showing prices on the map, it shows them (together with a photo and a description) on the mouse-over. Business-wise, limited growth at best, but given its scored points with the jury, most likely a well-executed API mashup. The third finalist is Google+ Counter which allows finding people on Google+ searching through publicly composed lists and indexed profiles. It has even been listed in the post of 11 Google directories to help you make more friends I found, well, on Google+. The founder Ralf Rottmann is a German entrepreneur. The current contest took place in Germany, and the next one is scheduled for Poland later this winter. Milner in Russia: are StartFellows grants too small to attract good projects? Are intentions of Russian tech companies newsworthy?